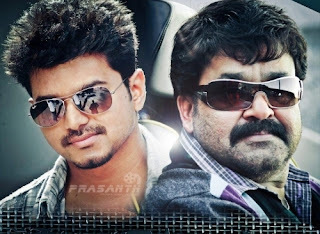 The Complete Actor Lt.Col.Mohanlal is planning a big comeback in Kollywood with Ilayathalapathy Vijay’s Jilla. This is a first time the duo are coming together for a movie directed by debutant Nesan under the production of R B Chowdhary’s Super Good Films. 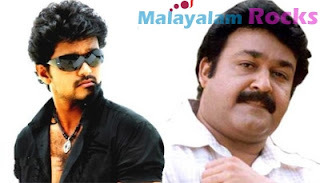 Now there are reports that Mohanlal is said to be playing a powerful Landlord in Jilla and Vijay as his right hand. Jilla which will give equal importance to both the superstars will also tell a plot based on the egos that exist between the characters that they perform. 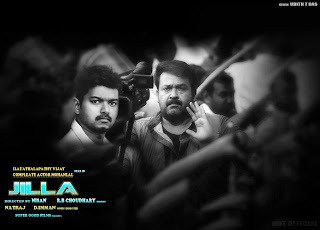 It is heard that Mohanlal has given priority 20 days call sheet for Jilla, with which he will complete the first schedule. The second schedule will start in two months time. 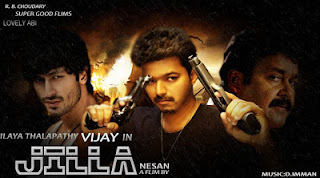 Both the actors have immense fan support in both the states, especially Vijay whose Thuppaki broke all records for other language films in Kerala within days after its release. Vijay plays a Madurai-based person, and hence some parts of the film will be shot in Madurai, though most of it will be shot in a majestic set in Chennai. The art team of the film has erected a typical Madurai style house set, in Chennai, at a whooping budget of one crore rupees! When quizzed, the director confirms the news. He says "The story is a family entertainer; most part of it has to be shot inside a house, and hence the set." 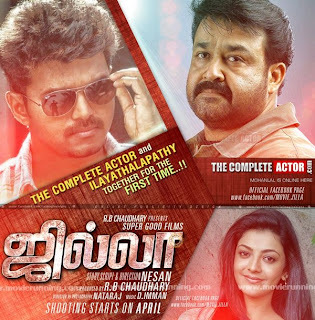 Malayalam Superstar Mohanlal plays a mentoring role in this film, and it is believed that the interaction between Vijay and Mohanlal in the film, is emotionally charged. Now the fresh news about the film is that Vijay’s character name in Jilla is ‘Shakthi’, a native of the region who will be addressed as ‘Jilla’. 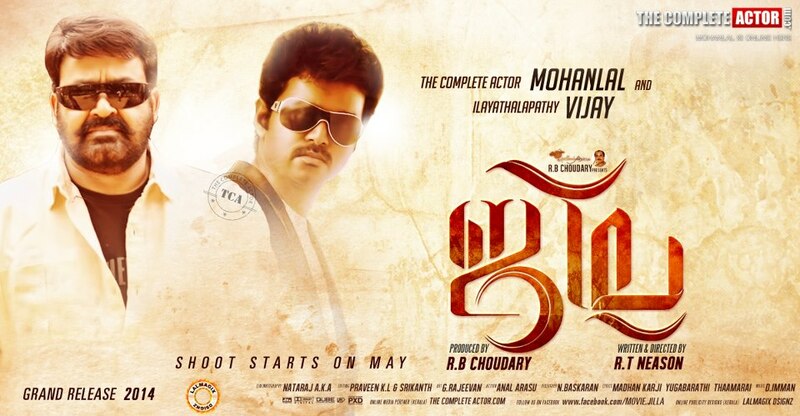 The term 'Jilla' is used in and around Madurai where the film is set. It refers to specific areas and also denotes 'one who leads a group'. The film, which is expected to go on the floors this May, is slated for a Pongal release. Now the latest we hear is that Mohanlal will be doing the role of Vijay’s Father(not a confirmed news) and Poornima Bhagyaraj will be doing the role of Vijay’s Mother. 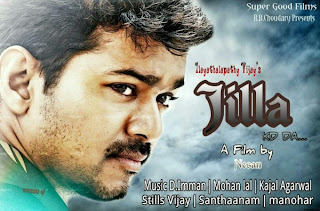 And, it’s already known that Mahat Raghavendra is doing the role of Vijay’s brother in this film.